Taking on the adidas adiPower Predator and Nike CTR360 II in the new control football boots category might not be the smartest move ever, but Umbro are going to give it a go with the mathematically-named Umbro Geometra. 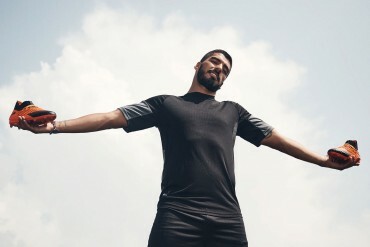 Umbro’s reputation has taken a hit from the untouchable status they had after the Nike takeover, but the Stealth Pro II and Speciali R have seen the brand snap back into a bit of form and we hope will soon be making great football boots and shirts. Their latest effort is this, the Umbro Geometra, and we’re strangely excited by it! A K-Leather upper is the first good step for the Umbro Geometra, surprisingly the only Control boot to boast one, using the same leather as the legendary Speciali is a great start for a pair of football boots focused on touch and feel. 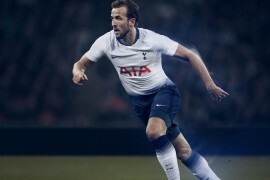 Building on that solid foundation is a pair of technological advances that Umbro say will change the way we look at control on our football boots. 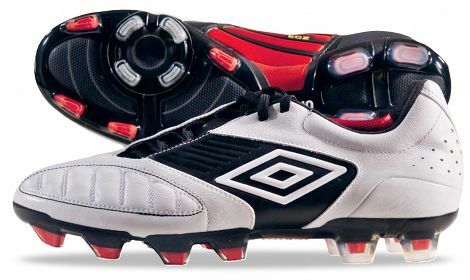 First is the ECS – Energy Control System -' that sits on the instep on the Umbro Geometra. The main component is strips of high-density foam, which is designed to reduce unwanted ball-bounce (quiet at the back) and excess energy is absorbed by the foam to bring the ball under your spell quicker. Next up is the swerve coating on the toe-area of the Umbro Geometra, which gives a sweet area similar to older models of the Predator to receive and distribute the ball from. Finally, an off-centre lacing system gives players a snug fit, maximising the effectiveness of these high-tech football boots. The Umbro Geometra will hit retail in August, with an RRP of £130. The lead launch colourway will be White/Black/High-Risk Red and a cheaper sibling model will be available, called the Geometra Premier. 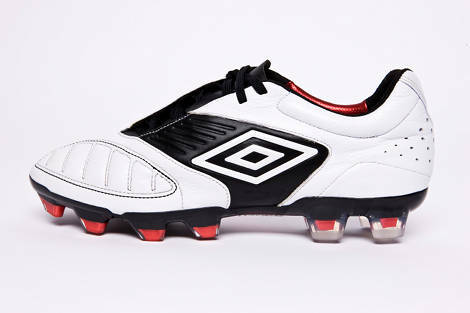 What’re your first thoughts on the Umbro Geometra? Let us know in the comments below! When’s the last time a new, top-of-the-line boot was introduced for less than $150? This is refreshing and exciting, can’t wait to see a review of these! These are really smart. Â Definitely consider getting a pair. 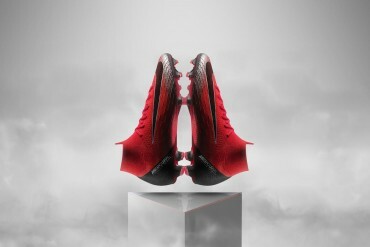 looks like nike’s way of adding adidas features to their CTR360. 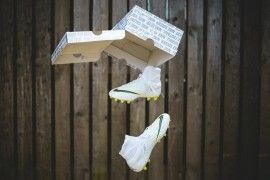 such as offcentre lacing(towards the outer foot vs ctr360 towards inner foot), soft k-leather(instead of kanga-lite). prob just a boardroom cross-marketing ploy with a strong price point too. 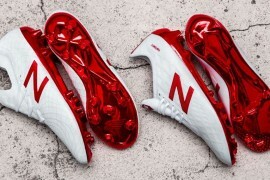 the studs are alot like the CTR’s since nike own umbro, should we be left to think this that these boots are made in the same quality as nike boots, ’cause tbh thats why ive stayed away from umbro as ive found it to be portrayed as cheap and low quality.. I really want to get these. Does anyone know if they are wide?? 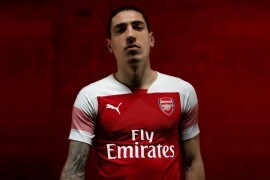 Well, Umbro is owned by Nike, so not generally a copy. 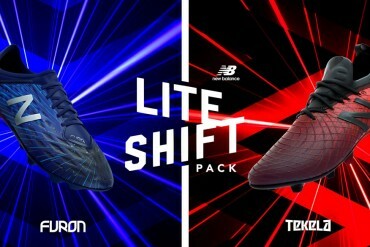 umbros are ugly and nike is no help to them… same with adidas for reebok. it’s so beautiful…. oh man… perfect for me! Umbro areÂ definitelyÂ on the up! 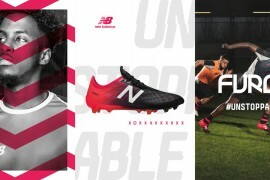 It looks like another cracking pair of boots by Umbro but unfortunately for them, it doesn’t have a swoosh or 3 stripes on it. 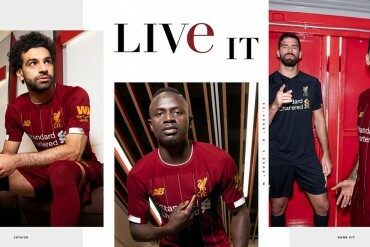 Branding is everything in today’s market which is bad news for Umbro because they churn out decent, good quality boots that end up dying without a whisper. 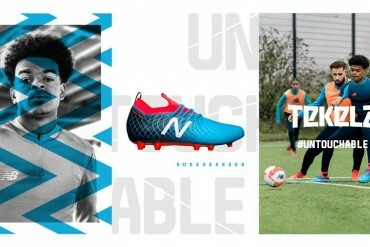 Another “kangaroo”-like upper umbro? THat makes three of them. Speciali R, STII, and now the Geometra Pro. Who needs three fake kangaroo uppers? JUST DO ONE RIGHT umbro. 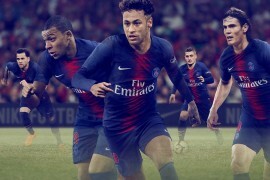 Umbro need to stand their ground with “Big Business” Nike. 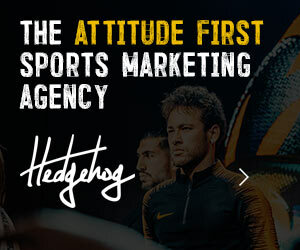 Give the real footballers Â what they want and not just what sells with cr7 wanabees. LEAVE the speciali Kangaro upper ALONE. Please go back to the original stealth pro features with synthetic upper, carbon fiber sole and great EXTERNAL HEEL COUNTER. Don’t give us the “lighter boot makes u quicker and better” shannanagans! This boot looks like it’ll be a great boot. Umbro need to just go back the the original model with the stealths. One they can market for power and the other for control.. I was under the impression that the stealth 2 was real leather? Ceramic is a technology additive incorporated in to the topcoat. Been there, seen it, done it – literally!!! can you do an Umbro Geometra boots test? 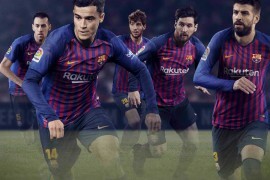 Pingback: KIT OUT YOUR COMPUTER IN UMBRO! One of the best looking boots I have seen. 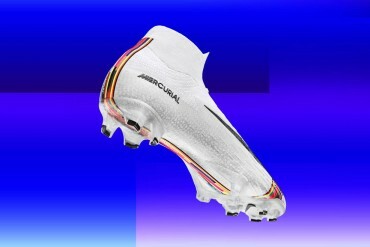 Has a real sleek look and something about it tells you that these are a pair of quality, high-technology football boots. Thanks to theÂ absenceÂ of a swoosh or threeÂ stripes, the price is also more acceptable then other boots.